Enspyre is Taiwan’s leading B2B telemarketing and phone Answering firm. Founded in 2002, they waited quite a few years to register their trademarks since the founder just assumed it would be quite expensive. The word was invented by their co-founder Elias Ek as a acronym for the names of the 5 founders which spelled SPYRE. Not finding a good way to re-arrange the letters, he stuck EN in the front and was delighted when Google informed him that it was a very old alternative spelling of the word INSPIRE. So while people 1000 years ago might have spelled the word INSPIRE as Enspyre, the word is now considered a a coined trademark since it is not in the dictionary. 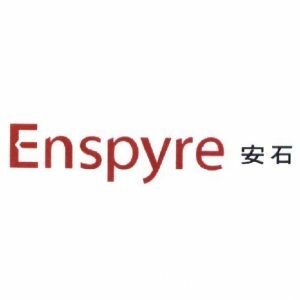 Enspyre exclusively service companies in Taiwan. As such they only needed to apply for trademarks in Taiwan. The Chinese name of the company, 安石, was also deemed important since many partners and customers refer to the company as that and thus the trademarks applied for combines the English and Chinese together. To see the whole Taiwan trademark Classification list. you can download it here. Applying for the English and Chinese words as separate trademarks would have increased the protection but even as one combined mark it should protect both words. Learn more about Enspyre here. See their trademarks in classes 35, 38 and 42. We are used to small business clients having the primary perception that trademark registration costs money, but it as we mentioned in our China trademark registration article, it is the most affordable thing you can do to future-proof your business. If you want to know more on what trademark classes you can register, contact MUSA today.